Honda Motorcycle and Scooter India Pvt. Ltd. (HMSI) has started with the bookings of their much awaited CBR650F motorcycle in Mumbai. Prospective buyers can get their bike booked at Honda's dealership- Honda Wing World in Sakinaka, Andheri East. The CBR650F will be launched by the manufacturer at an event named 'Revfest' organised at different locations in India on August 4. The CBR650F is a tourer motorcycle that features their traditional superbike styling. The bike, comes equipped with a new aluminium swing arm, preload adjustable rear shock and clip on handlebars. ABS comes as a standard fitment due to European regulations and the display console is digital with white backlight. The bike features a pair of 320mm discs with traditional two-piston calipers in the front. 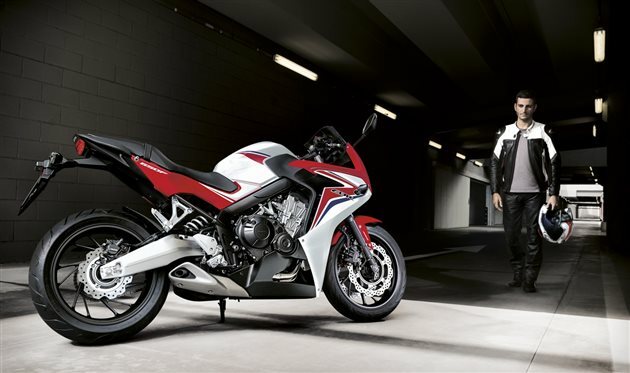 The Honda CBR650F is powered by a 650cc inline-four engine that produces 87bhp of power and 63Nm of torque. The mill comes mated to a six-speed gearbox and is set up to support low and medium engine speeds offering everyday usability and a good balance of performance and fuel economy. The motorcycle was first showcased last year at the 2014 Auto Expo and the manufacturer had announced their plans of bringing the CBR650F motorcycle to India. It will be assembled in our country with a localisation content of five per cent. It will rival the Kawasaki Ninja 650 and the Benelli TNT600 GT when it is launched here. Keita Muramatsu, President and CEO, HMSI, said, "In the first seven months of 2015, Honda two-wheelers has completed upgrade of its automatic scooter portfolio introduction in India. Now the world’s number one motorcycle company, Honda, is all set to bring the big bang in Indian two-wheeler market with its new range of fun motorcycles. Revfest will be the stage where Honda along with its flagship "Make in India" model CBR 650F will introduce not one, but many more new motorcycles." HMSI has also hinted that the CBR650F will also be accompanied by some more motorcycles at the Revfest event on August 4. The company is all set to launch the tourer motorcycle and are preparing to keep their after-sales service up-to-date as well. They have already inaugurated their exclusive sales-service shop-in-shop network to provide a premium experience to the CBR650F customers. This network includes the elite ‘Wing World’ dealerships across 12 cities including New Delhi, Mumbai, Bangalore, Hyderabad, Chennai, Kolkata, Indore, Chandigarh, Ahmedabad, Pune, Kochi, Lucknow and Bhubaneswar.